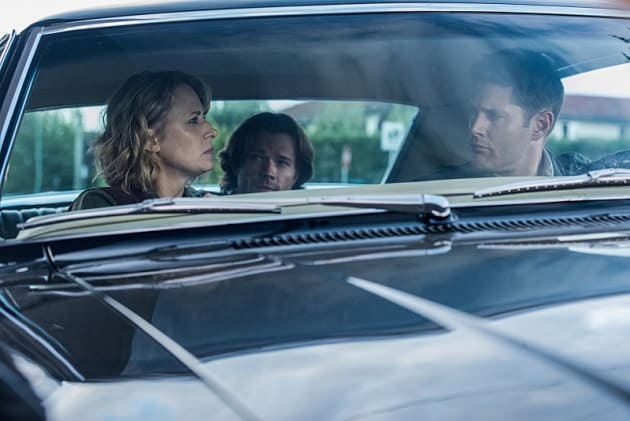 Mary must have called shotgun, because Sam’s stuck in the backseat. But does that mean Mary can’t pick the tunes on their little road trip? Wonder what Dean would say about her music choices?